I'm here again. Since the beginning of my UGP gameplay videos series on youtube (Youtube UGP channel), i never did a comparison between Ubuntu, Windows and another linux distro. So i decided, now, to do this. The reason of the long time between this and the last post, is that i had to install also Windows 7 (such a weird experience...) and Chakra (Arch Linux). Why Chakra? Simple. Because Chakra seems to perform better in playing games. Thanks to Jeff for his benchmarks that made me do this choice! (http://jeffhoogland.blogspot.com/2010/09/best-linux-distro-for-3d-performance.html). Are you ready? Let's start with a beautiful game from Lionhead Studios... Black & White 2! The first thing to ask yourself is: which program should i use for this game? I have the answer. 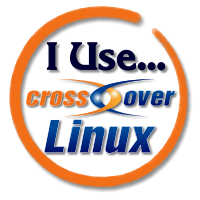 Let's take a look to all the differences between Crossover Games, PlayOnLinux and GameTree Linux. Unfortunately (really?) our game will never install using Gametree Linux, neither you can install it with another program and try to run it under GameTree Linux. Don't waste your time, the game just doesn't work on it (shame on Transgaming!). - Can be patched to 1.2 version (and it's also suggested). - Needs a noDVD crack. - Mouse lag bug (to avoid this, open Crossover Games, go into Black & White 2 bottle, run command, type "regedit" and click ok. Then, go to HKEY_CURRENT_USER -> Software -> Wine -> DirectInput (if it doesn't exists, create it) -> Create new string "MouseWarpOverride" and set it to "disable"). As this said, i played about six maps and i never encountered a crash, a problem... Nothing! The game just runs well! The game works better than Crossover, because of a little FPS boost (continue reading for further details). Analyzing these results, my conclusions are that in every single situation (max details-min load, min details-min load, max details-max load, min details-max load), Windows can handle the game better than the other 2 OS, and that's obvious. But, there are 2 relevant things: the first one is that at the highest load (blue and red in the graph), even Windows does low FPS (still playable, though) so i suppose it's caused by a combination of my hardware and a bad scalability of the game; the second thing is that, talking about linux, Chakra does always better than Ubuntu, especially at mininum details (red and green). It seems that the game works better on wine, providing 15-20% more FPS than Crossover. Be careful: apply the patches BEFORE playing the game for the first time, since savegames with the original version of the game do not work with newest patches (1.1 and 1.2). This process takes about 30-40 seconds. And so it is for the second patch. 1) Apply a noDVD crack (obviously for 1.2 version). 2) Download this DLL (d3dx9_25.dll) from this link (http://www.dll-files.com/dllindex/dll-files.shtml?d3dx9_25) and extract it to the main folder of the game. Now just run the shortcut in your PlayOnLinux GUI or just run white.exe! Well... I suppose pictures speak better than words. Feel free to send me an email or leave a comment if you got some problems or if you just wanna ask me a question. I will always answer you! Please left justify your blog. It is too hard to read centered so I didn't bother going past the first paragraph. If you want to reach an audience, make site you communicate with them. Thank you for your suggestion. Is it more comfortable for you now? It is more comfortable. Thanks! Now to get nit-picky: the font is a bit meh. It is too bold and appears to bleed. I'd go with a sans-serif font for screen content. The screen is too busy and distracting, I'd go for a plain, light background instead of blue pipes. This is all just opinion though. You are free to express yourself however you wish! Cheers and thanks for the content. Black & White 2 game is very entertaining, I've played it since a long time. Thank you. Hi, I know it's a long time, but I want to play B&W2 again. I wanted to check if the error is maybe because of the iso files. I want to fix it on Linux. I have never started a Programm with wine or with PlayOnLinux, so I hope you can help me with it. I would like to have Ubuntu, but because I don't like the new look of it (Dash-board, ubuntu software center), I would not be too sorry to install a different distribution. I will also send you a Mail. And thanks for the Performance Test, so I get confirmed, that it is possible to play b&w2 on ubuntu. Well, it seems that there could be a problem with you CD isos. I suggest you to try downloading another version of it. Also, try a different wine engine, try the latest one (1.5.21). It seems the problem was with the isos. I tried a DVD-iso (took me a while to get one) and it worked on the first try with PlayOnLinux. But not with the Script. I had to install it manually. It is a little slow on my computer and the start changed my resolution, but I hope I can change that with some configuration. Your integrated graphic card is too slow for the game, that's why the game works slowly. By the way, the game starts, and that's great! as I mentioned I'm new to Ubuntu so any help would be appreciated, thanks. It could be everything or nothing. Check this page, and see if someone encounter the same error! I'm sorry, i can't help you on Windows. This is a Linux blog, so if you have some Linux-related issue, let me know!